Go-Jek and Grab started their businesses by offering ride-hailing services in their respective home countries, taking different steps to attract consumers. Later, they expanded their services and became a duopoly in Southeast Asia. In their race against each other to become the first "super app" in Indonesia, Go-Jek and Grab are increasingly similar in terms of their features but still noticeably different in their approach to the super-app status. Go-Jek focuses on pushing financial technology (fintech) with its Go-Pay e-wallet, while Grab concentrates on its GrabFood delivery service. 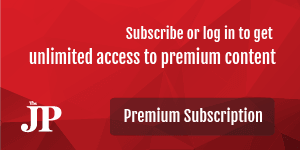 Go-Jek’s emphasis on fintech first became apparent when founder Nadiem Makarim confirmed in late 2017 that Go-Pay would become a spin-off the following year. “The plan is very clear. Go-Pay has an e-money license [from Bank Indonesia]. So our plan is to bring Go-Pay outside of the Go-Jek app,” he said. Nadiem stuck to his word as Go-Pay partnered with nearly 400,000 merchants by December last year with the value of the e-wallet’s transactions hitting US$6.3 billion. 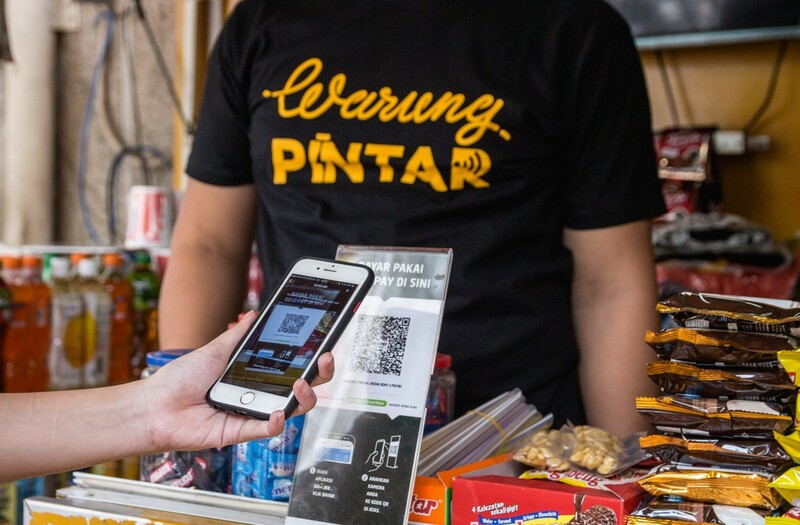 Go-Pay currently holds the highest share of Indonesia’s e-wallet market, which is predicted would be worth $25 billion by 2023, according to a recent RedSeer report. However, Go-Pay precariously maintains its market share by burning through millions of dollars in nationwide cashback schemes to push market penetration beyond Indonesia’s banked population. Go-Jek was able to raise $920 million in its latest Series F round to fuel its penetration plans. “If you take Indonesia’s population, deduct those who are too old to use e-payment, then deduct those who are too young, then you’d have about 120 million people who should be banked. They are our target,” said Go-Jek head of merchants Ryu Suliawan. Go-Pay has yet to reveal its current number of active e-wallet customers, but the latest Telkom-Mandiri report estimated the figure at 10 million users in 2017. Given the target, it was unsurprising when Go-Jek co-founder Kevin Aluwi said last year that Go-Pay’s other purpose was to gather data on consumers’ spending, which could then be used to expand his company’s financial services. For this reason, Go-Jek acquired three Indonesian fintech start-ups (Midtrans, KartuKu and Mapan) in 2017 and then acquired the Philippine start-up Coins.ph this year. Meanwhile, Grab has been crystal clear about its plan to become the country’s – and the region’s – leading on-demand food delivery service by the end of this year. Internal company estimates say the value of Southeast Asia’s food delivery market would quadruple from $3 billion this year to $13 billion by 2022. GrabFood itself rapidly expanded operations last year by entering Malaysia, Singapore, the Philippines and Vietnam after setting up in Indonesia and Thailand. Grab Indonesia president director Ridzki Kramadibrata told reporters in Jakarta as early as December last year that the company planned to leverage its 64 percent market share of Indonesia’s ride-hailing industry to conquer food delivery. This year alone, the company announced partnerships with five food and beverage chains, including Maxx Coffee, Wendy’s Indonesia and Baskin Robbins, which expands Grab’s network to “hundreds of thousands” of merchants. These franchises create either exclusive deals or menus to help Grab attract customers in exchange for consumer behavior insights in the 222 Indonesian cities where GrabFood operates. However, Grab also burns through money in nationwide promotions, fueled by its latest $2.5 billion Series G fundraising round, to increase market penetration. The spearhead of Grab’s food ambitions is its “Kitchen by GrabFood” program that allows top-selling GrabFood merchants to open franchises closer to high-demand neighborhoods. GrabFood regional head Tomaso Rodriguez said the program, which opened its flagship outlet in West Jakarta last year, reduced delivery times by up to 20 percent from an average of 29 minutes to 23.2 minutes within the neighborhood. “We will have several kitchens [around Jakarta] this year. I cannot share the number, but we will go very aggressive on Kitchen because we have seen good traction,” he said.